The Spigen Liquid Crystal is a hard case made of a polycarbonate material. The durable, lightweight and non-toxic qualities of polycarbonate make the Liquid Crystal a reliable solution for protecting the Huawei P10 Lite from external impacts. The Spigen Liquid Crystal case is coated with a non-slip soft feel surface that enhances your grip on your phone. There is also a Urethane coating that prevents discolouration of the case. 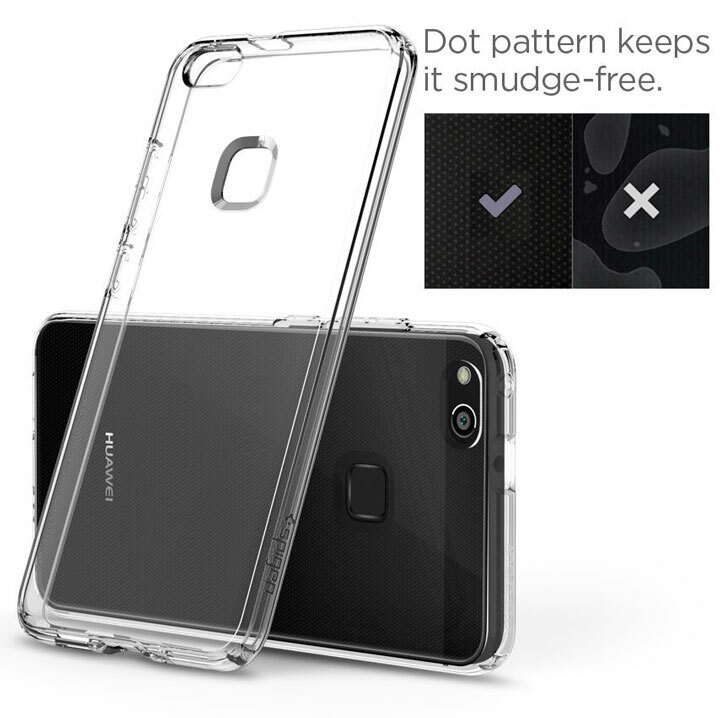 The Huawei P10 Lite has a distinctive design, so you'll want a case that preserves this look while offering protection from scratches, scrapes and minor impacts. The Spigen Liquid Crystal case is made to be as thin as possible without sacrificing protection, and made to perfectly follow the contours of your phone so it still has the original appearance. 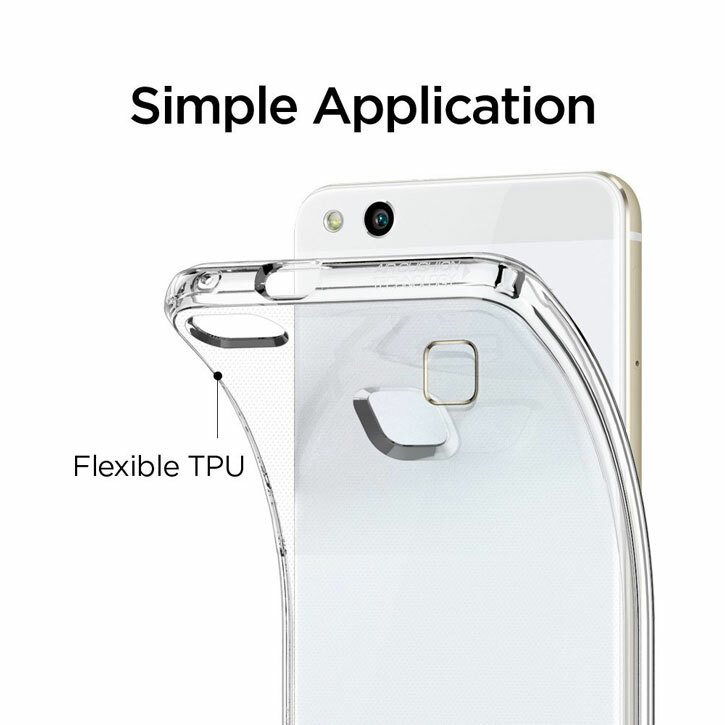 Best of all, as the rear and sides are completely crystal clear, you can let the awesome styling of your Huawei P10 Lite shine through without compromising on protection in any way. 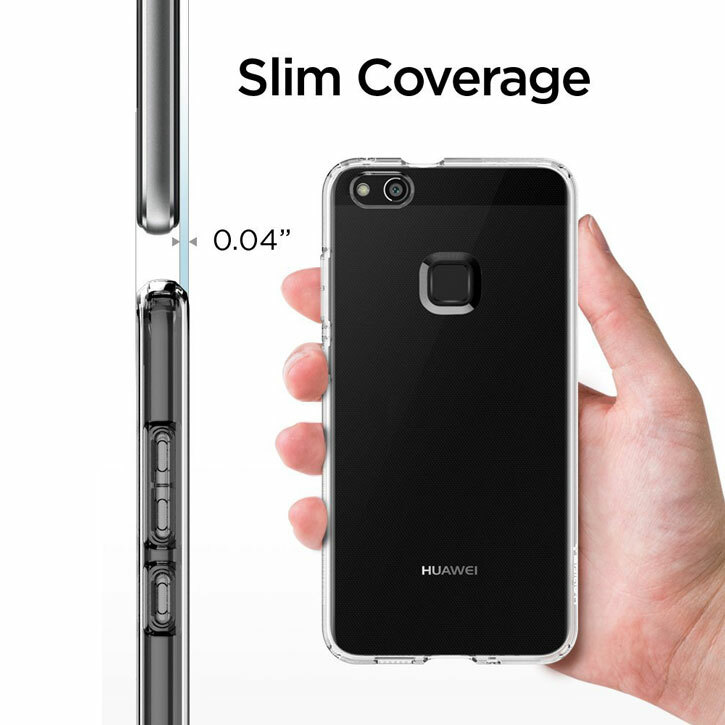 The case optimises functionality to all of the Huawei P10 Lite's ports and features. The Liquid Crystal case features open sections for the charging port, camera, buttons and the headphone jack for easy use.